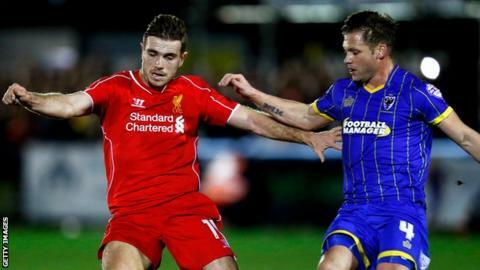 AFC Wimbledon midfielder Dannie Bulman has extended his contract with the club until the summer of 2016. The ex-Wycombe and Crawley player, who turns 36 on Saturday, has made 32 appearances for the Dons this season. "It's great that he wants to commit to us for the future," Dons boss Neal Ardley told the club website. "This is something that we don't normally do and we would usually wait until the end of the season. However, Dannie has been outstanding." Ardley continued: "His form has not dipped this season and his ability to show high-energy consistently has been impressive."